It’s that time of the week when we take a quick look at what movies are hot at the UK Box Office. These figures are for UK Box Office June 16 2017. No change at the top of the UK cinema charts with Wonder Woman staying top with takings of £1,868,607. Two of last week’s new releases enter in fifth and sixth places, Churchill and Gifted respectively. Neither film have seemingly done enough to drag people out to the cinema although the exceptionally good weather the UK is currently experiencing may also have a lot to do with it. 20th Century Fox films occupy sixth, seventh and eighth places taking a combined £781,297. 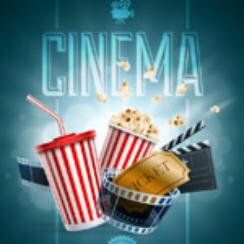 One of the new cinema offerings this week is Transformers: The Last Knight, more on that on Thursday.